A housing development is set to be built in one of Clitheroe’s most popular areas. And housebuilder Jones Homes has pledged almost £200,000 towards creating more primary school places for the influx of families the new homes are expected to bring to the Ribble Valley. Planning permission to build 45 homes on land in the Littlemoor area close to the historic Grade II listed Littlemoor House has been given. The 1.76 hectare site is the first plot of land secured by the housebuilder in Clitheroe for over 20 years. The development will include a mix of traditional three and four bedroom semi-detached and detached homes, a selection of dormer-style bungalows and 13 two and three bedroom affordable homes. Work on site on the roads and sewers has started with construction of the homes due to begin in July and completed in time for Christmas and the new development will be named as Littlemoor Park. The new homes are the latest to be approved in Clitheroe. 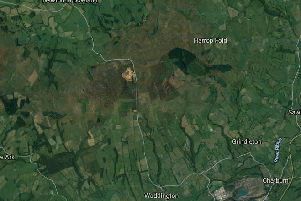 Wimpey Homes has planning permission to build up to 1.040 homes on land at Higher Standen Farm although this has caused great controversy as it close to the junction of the A59 with Pendle Road, a notoriously busy spot. The company has promised to create a roundabout as part of the development but there was fury from protestors when the plan was put on hold at the request of Wimpey until it has built the first 50 homes.